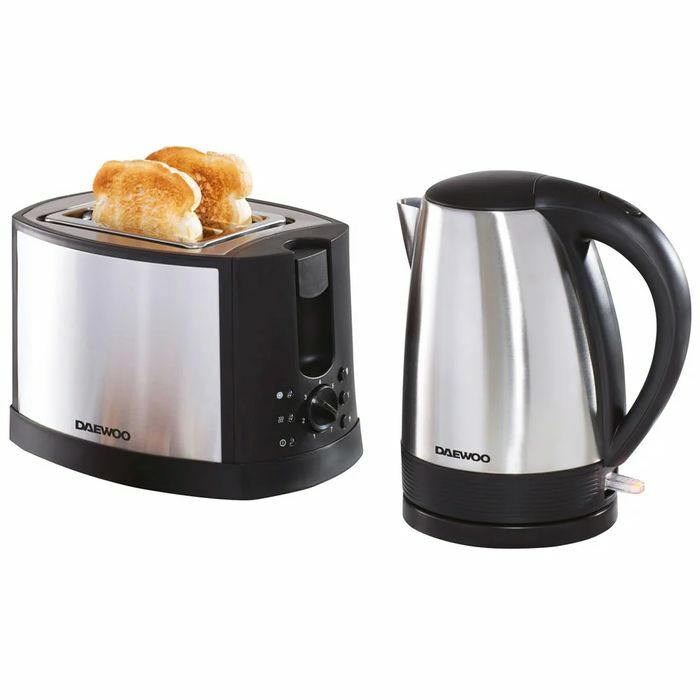 This Daewoo Stainless Steel Kettle and Toaster Set is perfect for helping you kit out your kitchen. This stunning brushed stainless steel toaster and kettle set includes a two slice brushed stainless steel toaster and 1.7L kettle. The toaster Includes seven browning levels and a defrost function, perfect no matter how you like your toast. The automatic shut off and extra lift on the toaster make it easy to retrieve your toast when it pops up too. The kettle includes an automatic switch off and a 360° rotational base for easy handling of the kettle. Always follow packaging before use. Toaster 930W and Kettle 2220W.